Talking to Jeff Warren was like talking to my long-lost meditation friend who totally “got it.” His story about how meditation helped him notice the “neurotic ways he was in pain,” will help you understand the power of this practice at a deeper level. 1. Everyone can experience the sacred dimension of practice no matter what your background is. 2. The most important equation all humans need to know is: SUFFERING = PAIN X RESISTANCE. 3. Teaching meditation to kids teaches “existence skills” – how to be more compassionate and sane. 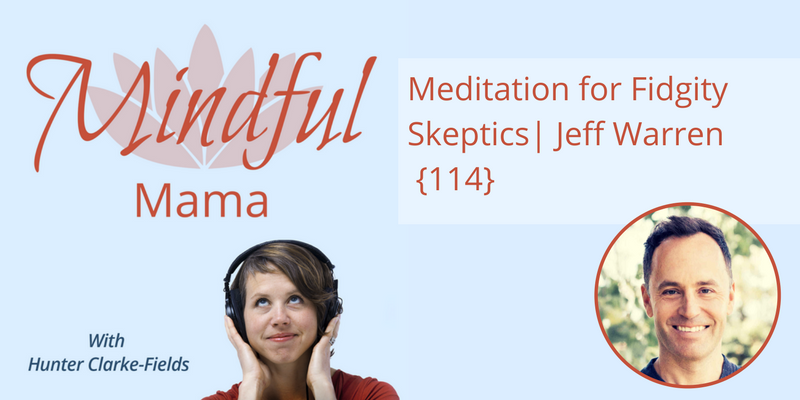 Jeff Warren is a meditation teacher and writer, co-author of “Meditation for Fidgety Skeptics,” and author of “The Head Trip,” a guidebook to waking, sleeping and dreaming. Find out more about Jeff at JeffWarren.org. Also, Jeff loves making imaginative guided meditations for kids with his friends at Kid Evolve, here. What are your thoughts and takeaways from this episode? Start the conversation in the comments below!